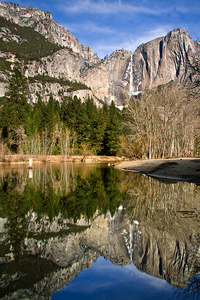 Yosemite National Park is arguably the most iconic and easily recognizable parks in the United States; towering cliffs of marbled granite and massive waterfalls plunging over them. It’s a stunningly beautiful testimony to the power of nature and time. Ansel Adams Photographed Yosemite, and is best known for his magnificent captures of this California treasure. Technology has progressed since Ansel’s days, and with the new string of cameras we’re able to see and photograph Yosemite in ways that were previously nearly impossible. After meeting your professional instructors in the afternoon they will drive you into the park for a chance to photograph one of the spectacular and iconic grand vista points. Sunset is only a warm-up however, the real magic happens when the mother-nature turns off the lights. Night landscape photography for many can be a difficult and challenging. For others going out at night alone can be intimidating and scary. We’re here to help with both! Come join the Aperture Academy and a fun group of photography enthusiasts for a night adventure! Our instructors will be on hand to help you with all the settings and technical knowledge needed to capture stunning night imagery. Want to know how to light paint? Our instructors will bring along the materials to help create interesting and unique images painting with light! As an added bonus, May also brings about a natural phenomenon called a ‘Moonbow’ at Yosemite Falls. Light from the moon creates a rainbow in the mist of this powerful and massive waterfall. If the clouds stay clear, and the moon is able to hit the falls, our instructors will have you in the right place to capture this stunning occurrence for yourself! The Moonbow is only one of numerous possibilities to capture stunning and imaginative night images in this grand and inspiring landscape. You’ll ride in style all night long as our team of professional instructors guides you in and around Yosemite National Park and put you in the right place at the right time to capture the best Yosemite offers. Spring brings on the water, and no time is better to see those massive waterfalls flowing at their best! We will have two nights of shooting stunning images and a final post-processing session before our time together draws to a close. Stars! Moonbows! Raging Waterfalls! YOSEMITE! 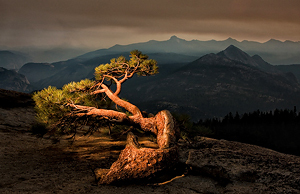 We hope you’ll join us for this exclusive workshop offering at California’s premier National Park. Extra camera battery(ies) – you’ll need it with long exposures! A laptop with Photoshop and Lightroom installed. We recommend Creative Cloud. Lodging and meals are not included. Suggested lodging is the Yosemite View Lodge, located in Portal, California (888-742-4371). We will take a break mid-day, each day, for lunch and rest.